Do you know who makes the top/dress that Sofia is wearing? He is a chunk! So cute! I do see his cousins on his eyes. The gene pool is strong in that family! What a cute tot. Looks more like his mum than dad. They look so happy little family. He resembles his cousins, Estelle and Oscar. Felicidades ao meu casal real preferido e ao filho maravilhoso que têm :)). Que a vossa vida em comum ande sempre de "mãos dadas" já que é um gesto que vos caracteriza. What a cutie. Trying to figure out color of his eyes. In some close-ups they look dark blue. In another photo from more of a distance, they look brown. He's gorgeous,and so are his parents. I love his cute smile. I don't think he looks like Oscar at all. To me he resembles his maternal grandpa. Sofia looks good in that dress. Totally agree that he looks like maternal grandfather. I agree, he favours Sofia's Father ! He has a beautiful smile ! And as for those eyes, beautiful ! No doubt about it, Alexander is thriving - which is wonderful to see! 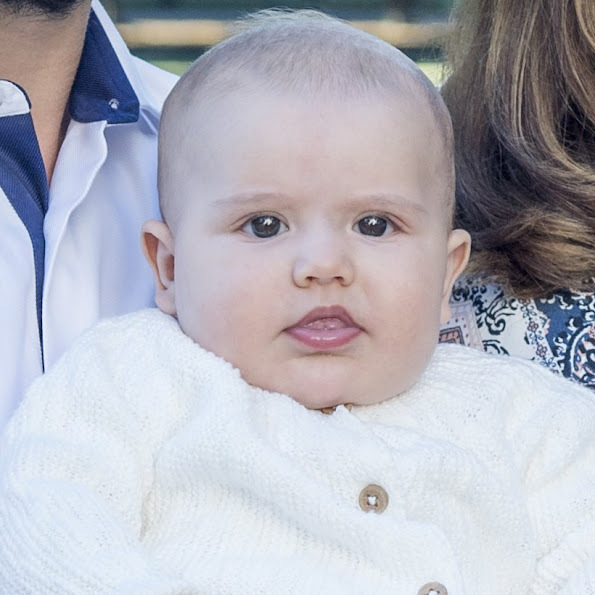 He looks so cute in his little cardigan. Like Denise I can see a familial resemblance in Alexander's eyes when compared to Estelle and Oscar, although the shape of his face is totally different to Estelle and Oscar. 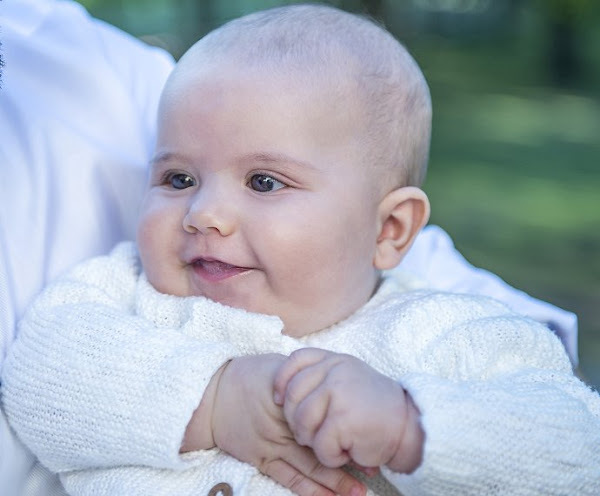 I cannot see any resemblance at all to Princess Madeleine's children in Alexander. 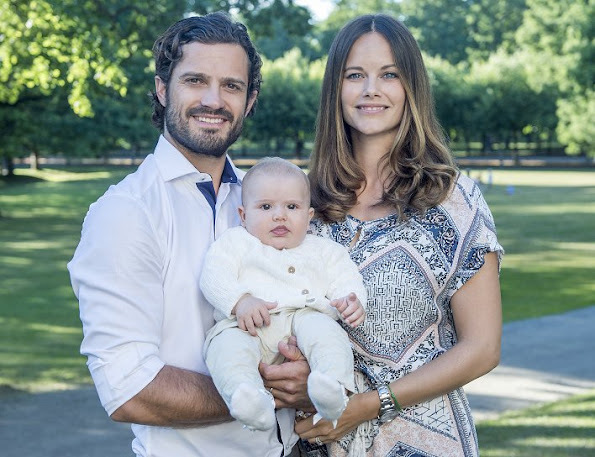 Princess Madeleine's children seem to resemble their Father more than their Mother. wow happy proud parents, sofia is doing quite well since joining the SRF, well done sofia!! !